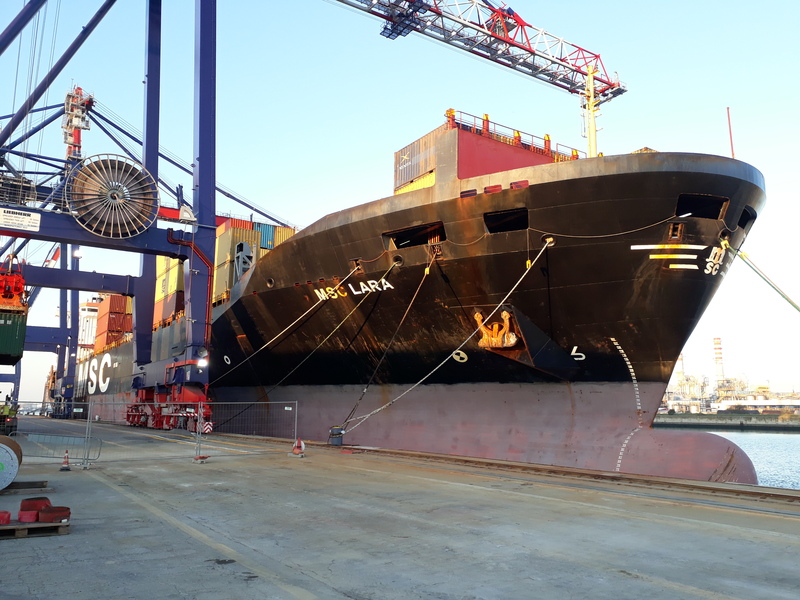 The ship entered the port, heading towards TCR’s quay, where loading and unloading operations took place perfectly within schedule. 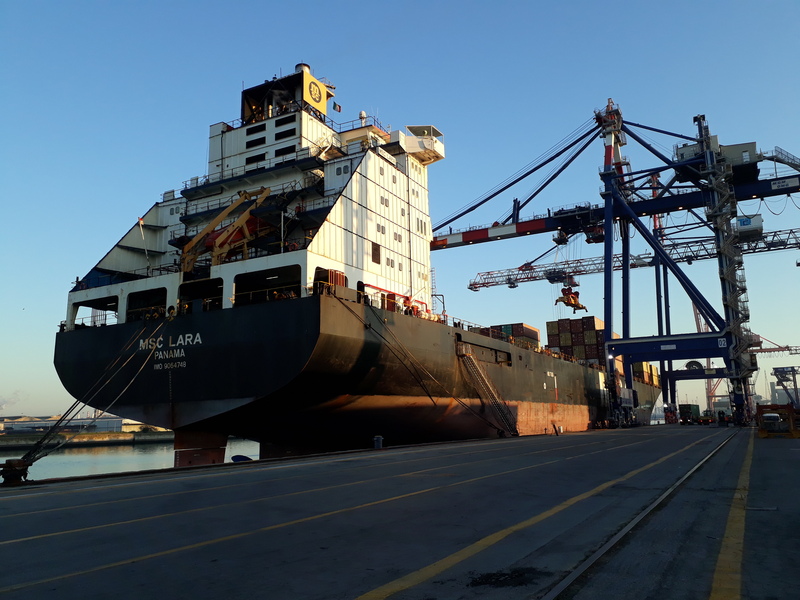 The MSC LARA has been deployed on the MSC “C” service that connects main ports in the East Med on a weekly basis. 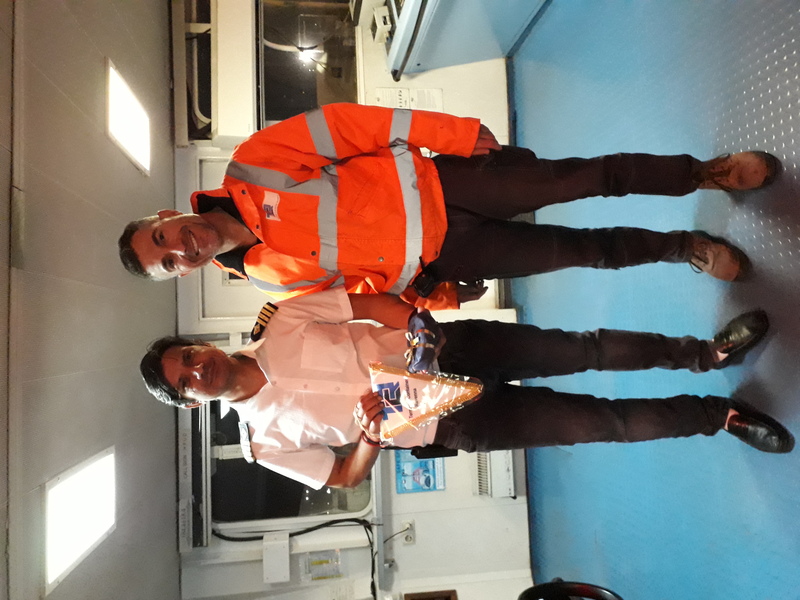 During the maiden call, Captain Mr. Arun Kumar gave personal appreciation of the Terminal’s efficiency in servicing the ship, as 1102 containers were handlined in total. TCR managed to proficiently load 711 containers on the ship; 406 empty boxes and 305 full boxes. Mr. Salvatore Marano, TCR Planner, boarded the ship to hand a commemorative crest to the ship Captains, as traditional a memorial for the ship’s first call in the port.